ABC News reporter Tom Llamas appeared on The View Friday morning to preview his exclusive interview with Melania Trump. During the interview Llamas asked the First Lady about the president’s alleged infidelity. Melania Trump was very gracious and told Llamas it was not a concern of hers. 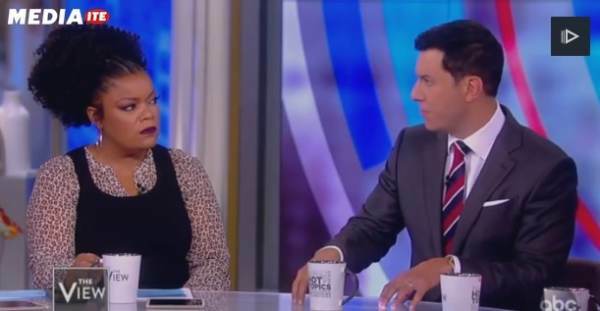 That’s when “The View” co-host Yvette Nicole Brown jumped in and accused Melania Trump of being just another of Donald Trump’s mistresses. What an awful group of people. More… Sarah Sanders weighed in on the disgusting attack.